Loyalty programs with a membership fee are sometimes just not worth the cost, once you tally the benefits. However, if you go to the movies often, AMC Theatres’ rewards program, AMC Stubs, offers good value at the box office and on concessions. Now as of July 2016, Stubs rewards now has two levels of membership including a new free membership. Up to $2 off tickets every Tuesday (Discount applies to full-price Adult tickets only. Total discount will not result in a discounted ticket price below the lowest published non-promotional Adult price for the same movie, theatre and day. Present your card or member number to receive membership pricing on Tuesdays at participating theatres, only at the box office. Upcharges and exclusions may apply). Waived Online Ticketing Fees for 4 Tickets or More. $5 reward every time you reach 5,000 points (earn 20 points per $1 spent = $50 in spending for a 2% reward). If you’re like me and use other techniques to Save on movie tickets year round and to get Discount tickets to Block37 AMC then the reward portion of this program isn’t too valuable because you do not earn Stubs Rewards when you buy tickets with AMC passes. Still by joining for free you will get an annual FREE Large Popcorn on your birthday and access to Member Exclusives Offers, Screenings & More. 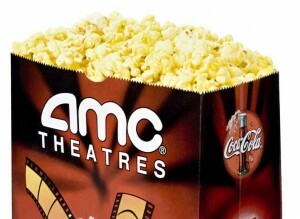 Periodically throughout the year AMC will offer a discount membership to Premier which will be posted on this website. Up to $5 off tickets every Tuesday (Discount applies to full-price Adult tickets only. Total discount will not result in a discounted ticket price below the lowest published non-promotional Adult price for the same movie, theatre and day. Present your card or member number to receive membership pricing on Tuesdays at participating theatres, only at the box office. Upcharges and exclusions may apply). $5 reward every time you reach 5,000 points (earn 100 points per $1 spent = $250 in spending for a 2% reward). If you enjoyed this post, sign up for the daily Chicago on the Cheap newsletter. You can also follow us on Facebook and on Twitter.